MAY 1 UPDATE: Three winners have been announced! Yes, we've been quiet here at the Hotline. There's not a lot going on in the NIN realm, while simultaneously, lots of things have been going on in the lives of us who dust the shelves off here. I'm pretty sure we're going to see a bunch of things later this year, but until then -- FREE STUFF! Sony approached us and asked if we'd be interested in doing a giveaway. What's the prize? 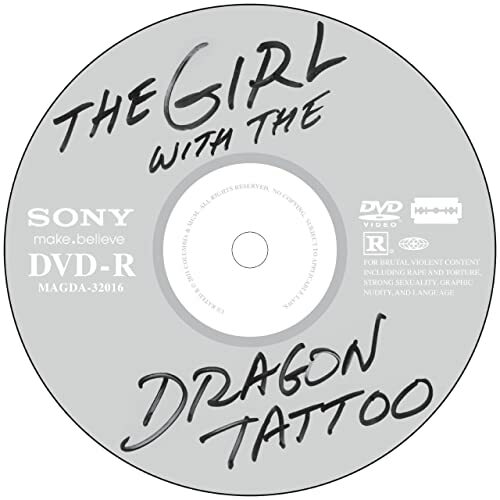 A CD copy of The Girl With the Dragon Tattoo soundtrack, and the David Fincher directed film on DVD. I said hey, there's a pretty good chance that if people are reading this site, they own the soundtrack. Probably even the movie. And hey, you're Sony, inventor of BluRay -- could you bump it up to the BluRay copy? It comes with the DVD after all... but nope. However, they did say that we could swing two prize packs. And Mr. Sony said that if you win & you've already got the soundtrack, you can give a copy to a friend. Not a bad idea actually. Initially, the contest was going to be US only, but I offered to handle fulfillment, so as to make the contest worldwide. Mind you, now that I think about it, DVDs are region encoded, aren't they? But then that never stopped anyone from watching them in other markets, has it? It seemed like a good idea at the time, and I'm sticking with it. STFU, how do I enter? Really simple. Introduce yourself at Echoing the Sound, newly relaunched in December. If you get kicked back by our sometimes too-awesome spam traps, email me with your handle and I'll fix things. If you already introduced yourself on ETS, then consider yourself entered. I'll pick two (or three, if they send me three) winners on Saturday, April 28th. Maybe Sunday the 29th, depends on how busy I am. I trust you not to create multiple accounts to boost your chances of winning. I mean, it's a CD and a DVD. I can't remember the last time I put either things in their appropriate player. But still -- FREE STUFF. You'll be contacted via ETS and via the email address you use to sign up, and that's the extent of it. No one's getting your contact details, you're not being signed up to any mailing lists.